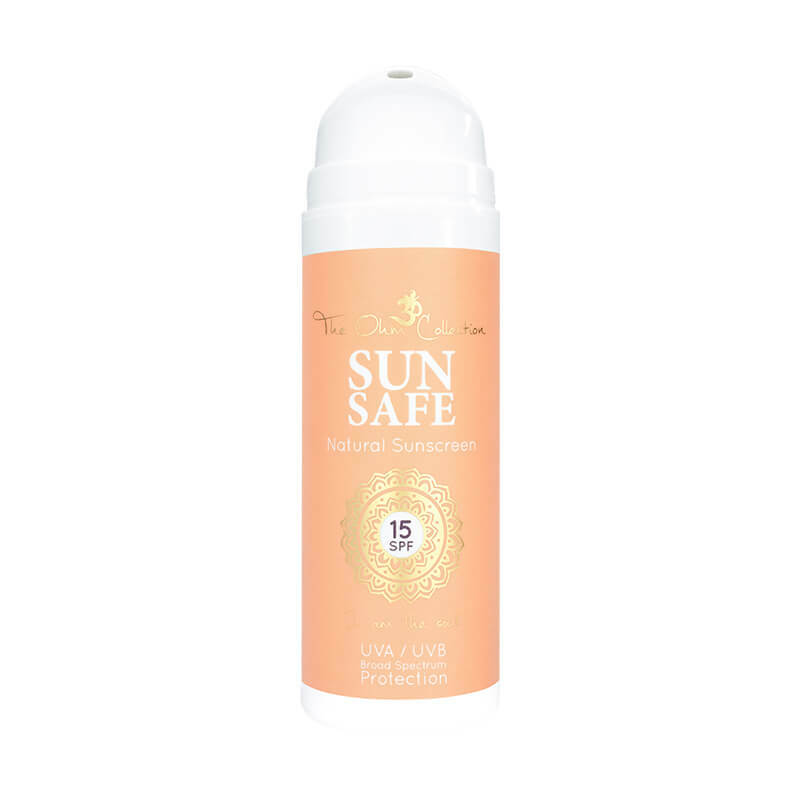 Sun Safe is the first natural sunscreen lotion that is both nourishing and effective. The formula brings out the natural pigment rather than colour it and hydrates your skin due to its active ingredients. Sun Safe is not just a sun screen. This Ohm-made blend contains the highest quality oils and premium herbal extracts, nourishing and protecting all skin types. 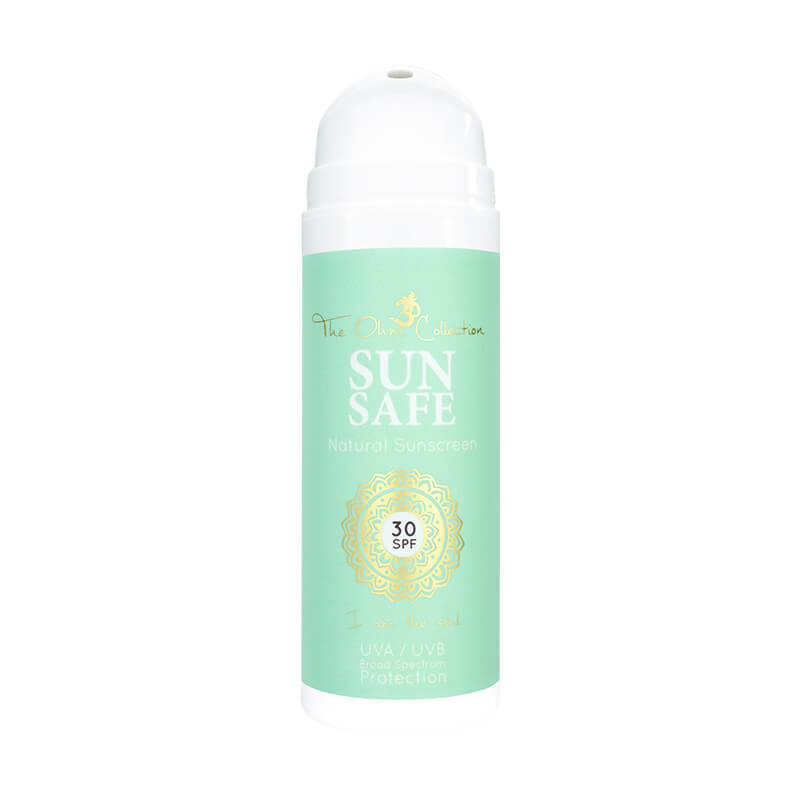 Sun Safe is a 100% natural, uncoated zinc oxide sunscreen containing 77% certified organic ingredients. All life on earth is connected to the oceans and its inhabitants. Sun Safe is chemical-free for People and Sea.. The SPF 15 in this formula brings out the natural pigment rather than colouring it and hydrates your skin due to its active ingredients . Deliciously scented with organic. All life on earth is connected to the ocean and its inhabitants. For this we have brought forth Sun Safe. Sun Safe is coral reef safe, chemical free and wonderfully hydrating, very important for sun worshippers. The non-nano and uncoated zinc oxide blend in Sun Safe is not harmful for you and the ocean. The non-nano and uncoated zinc-oxide in this formula does not penetrate the skin, but is small enough to leave little or no white layer on your skin after application. This sunscreen is free of synthetic filters (e.g. oxybenzone & avobenzone) and other mainstream synthetic ingredients usually found in sunscreen products. Sun Safe is Sea Safe, it does not disturb marine life. The SPF 30 in this formula brings out the natural pigment rather than colouring it and hydrates your skin due to its active ingredients. Deliciously scented with organic oils.